GOUT NEWS FLASH! Can Insulin Cause Gout?! YES! Find out what to do! I’m a gout geek. And now I’m geeking out on the connection between hyperinsulinemia and gout. Of course, if you’ve had gout as much I used to, you’d be a gout geek too. And maybe you are! Maybe that’s why you’re here! 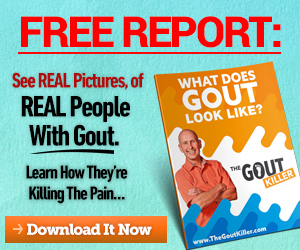 And I’m glad to see you here…because I want to tell you about how the gout game has changed – new evidence and new observation is proving that the world has had the cause of gout all wrong, all along! Diabetes: High Blood Sugar or High Insulin? For many years now, I have always felt like the “too much red meat and beer” explanation for gout was not the answer. High purines foods are part of the problem, yes, but there is something fundamentally flawed with the concept – quality animal products from well raised sources are incredibly nutrient dense, whole foods – something we all need to take advantage…in the right proportions. 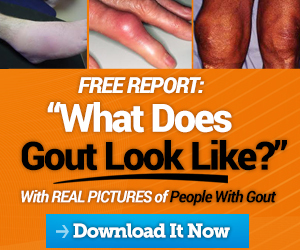 As far as gout being genetic or hereditary, that doesn’t completely hold water either – we practically have an epidemic of gout going on now and you want to tell me, all of a sudden, all these millions of people have a genetic predisposition for gout? I don’t think so. Genetics loads the gun, the environment pulls the trigger. 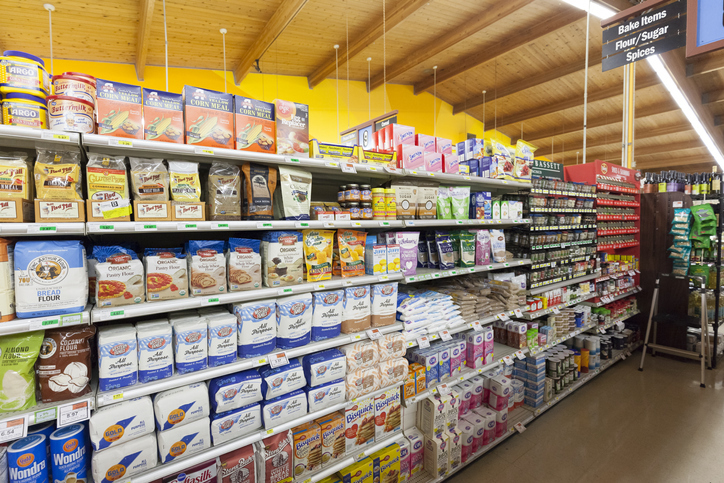 When the research started to show that gout and fructose have a very serious connection – especially high fructose corn syrup – my ears perked up and that got my attention. What has come down the pike, is that maybe it’s not so much the fructose converting to uric acid in the liver as it has to do with the insulin response to high blood glucose. There is published research pointing to the fact that high insulin levels (hyperinsulinemia) in the body inhibits the excretion of uric acid…so I’ve been telling you that all the bread and pasta is what is causing your gout, this is why. To be very straightforward with you, I intuitively knew that there was something to that, but it wasn’t until now that it was explained to me and the light bulb went on…THIS IS A GAME CHANGER! High insulin levels are basically responsible for Metabolic Syndrome and high uric acid and gout are right in there with that! Historically, the connection between gout and high uric acid levels has been obvious, but when it comes to measuring risk factors, assessing blood glucose levels and the HbA1c testing have been the main thing that matters to most medical doctors. (MDs) However, the real culprit to hyperuricemia, Metabolic Syndrome, and so much more is consistent, excessively high insulin levels. In this modern, over-carbed world of ours, it is pretty hard not to get WAY too much sugar in our diets, from one source or another. Who’s Changing the Gout Game? Certainly Amy Berger is at the top of that list of insulin induced ill health conditions. I got REALLY excited about this when I read her submission in Wise Traditions quarterly publication. (click the link and take a close look at what it says on the photo in the post) Wise Traditions is a publication of The Weston A. Price Foundation. I don’t personally know Amy Berger (yet) but we do have something in common – we both studied and acquired our nutritional training with the Nutritional Therapy Association. She is far and away more well trained than I am and much more accomplished, but how she drilled down to understand the gout and hyperinsulinemia connection clicked with me, due to the familiarity of our mutual training. Most important, she has now uncovered the connection of a high carb diet and high blood sugar and gout; the common denominator is the high level of insulin in our blood that results from it! Quite a list, huh?! How many can you check off? Besides gout? What I find quite fascinating is that all these problems with high blood sugar/high insulin brought on by a carb heavy diet, are only one set of problems brought on by a carb heavy diet! The difficulties of Leaky Gut Syndrome and autoimmune diseases and their connection to gout, are the topic of another blog post! 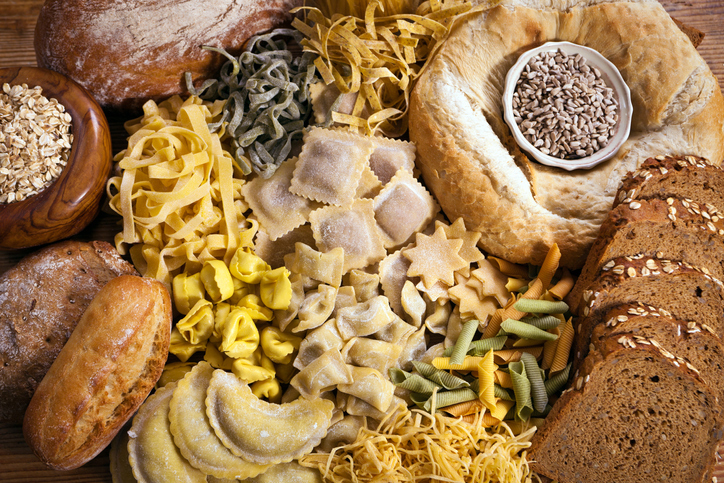 There is WAY too much carb heavy food in our modern world, and even under the best of circumstances and being prudent and diligent, we all eat WAY too many carbs without even trying. 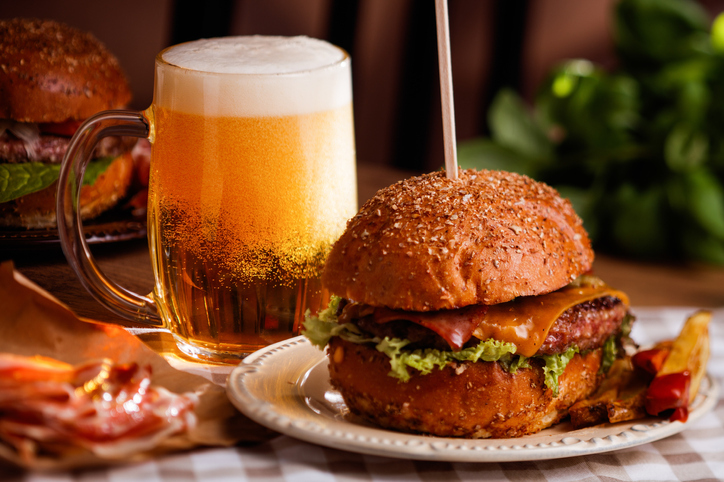 Couple that with eating out at restaurants, (especially fast food type restaurants) drinking alcohol, not getting enough exercise and sleep, we are our own worst enemies…and easy prey for gout. The most significant take-away from this new found clue in unraveling the gout puzzle, is that we might show acceptable levels of blood glucose, but all that could mean is that we are efficiently pumping out a scary amount of insulin to keep it in check. The typical blood glucose testing and the HbA1c tests are useful but only half of the story. High blood sugar and diabetes is commonly associated with kidney dysfunction and if our kidneys can’t eliminate enough uric acid, guess what happens? So the “too much red meat and beer” dogma does carry some weight – but it probably carries that weight because over the course of our gout careers, we’ve broken down our ability to protect ourselves from gout because we’ve beat up our kidneys so bad with high blood sugar and high levels of insulin. Remember back in the days before you started getting gout all the time? What changed? Decades of eating too much carb heavy food is my guess. To put it simply, the Kraft Test (named after Dr. Joseph Kraft) is a process of observing both your blood glucose and insulin in action together. I am going to get this done and I will report back to you. I expect that this will reveal some valuable information about how things are going for my one-and-only, lonely little kidney and give me more to kill gout with. The other action item you can get going on is moving toward eating more of a ketogenic diet – i.e. a diet high in healthy fats, some carbs from good plant sources, and very little protein from both animal and plant sources while avoiding grain-based foods and other high glycemic foods. 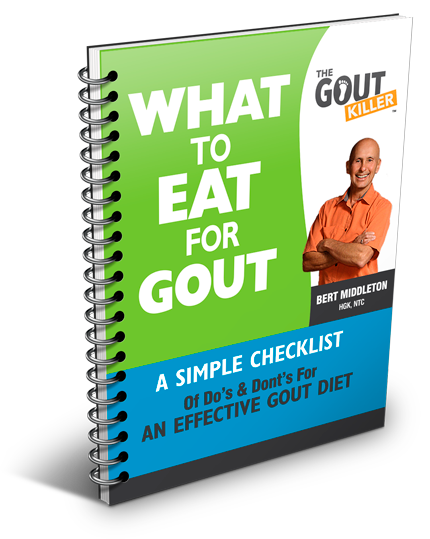 ☆ Remember: Can insulin cause gout? Now you know – high levels of insulin in your blood is why you’ve got gout! At your service Janet, glad this has helped! 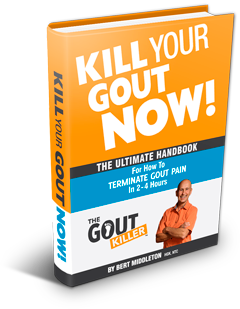 Check out my other posts as well - killing gout is my mission in life! Hi thanks for this very informative article. I started to have gouty arthritis when i was 23years old and now im 31 i still have it in me. This is very helpful for me i will surely gonna add your info on my weight loss diet. At your service Jimmy, glad you are finding what you need! Please use the contact page to email if there is anything specific you think I can help with.